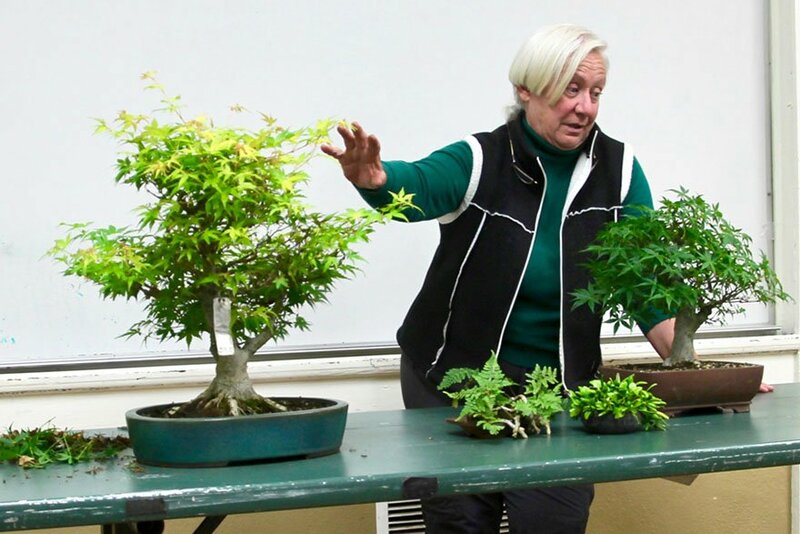 Club President Tom Post will present a demonstration on creating root-over-rock bonsai using young trident maple cuttings. Trident maples are ideal for this style because of the marvelous way their roots can fuse into gorgeous masses over time. The picture shows an example of what time and proper care will accomplish. Tom has been active in our club for many years. The club used to meet at Mackenzie Park. Tom’s then-young son was playing soccer there and Tom happened to see what the club was doing, liked it, joined, and has been a faithful member ever since. The year is 1/2 gone! We had a great show and now have a wonderful new group of excited beginners. Our summer schedule, primarily designed for beginners, will commence in July with our 6:45 beginning time at our Tuesday evening sessions to discuss Basics. The scheduled program will start at 7:30 as usual and, of course, everyone is welcome to come at 6:45 if you wish. Please look at the “summer schedule”. We will be visiting three bonsai nurseries and everyone is welcome to attend. On these visits, we meet at 7:45 AM and leave at 8:00 AM (sharp) from the Sears upper parking lot. The August Pot Luck will be at Ann Erb’s house in Nipomo. Hope to see everyone there. The map will follow next month. In honor of the 100th anniversary of the birth of her dear friend John Naka (he was born in Colorado on August 14, 1914), Cheryl has prepared a presentation that she will be showing to many groups this year. The presentation is touching, informative, and entertaining. 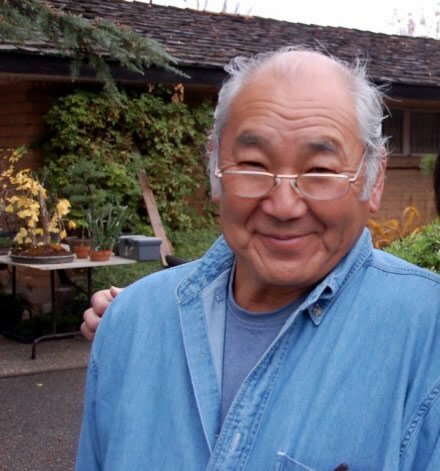 It includes many photos of John and his trees, and gives an insight into his wisdom and humor. A sample quote: “A live donkey is better than a dead doctor.” John was also an accomplished painter, something that I, at least, didn’t know. Cheryl also spoke about defoliation. June is the time to defoliate maples and other deciduous trees. “Ramification Rules!” says Cheryl, and naked branches help you see where to cut long branches back to two good buds to encourage branching. Other wisdom from Cheryl: No tree is perfect: make the best of what you’ve got. July 8, Tuesday 6:45 PM (before regular evening program). Discussion on styles and ideas for picking out a tree. 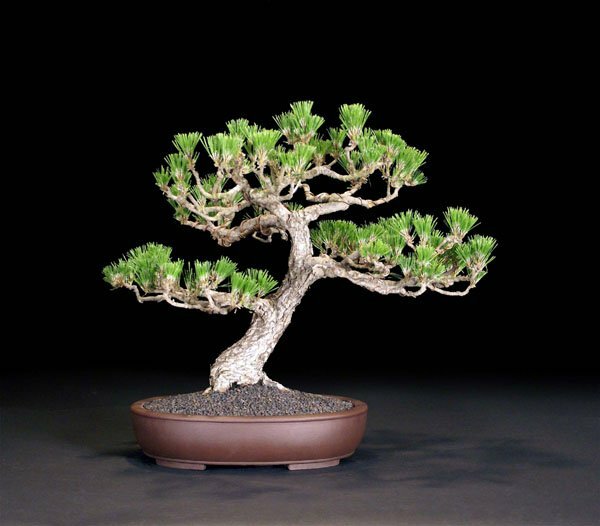 For those who are interested, we will also meet at 6:45 PM on the second Tuesday of each month (our regular meeting day), September 9, October 14, and November 11, to answer questions or have discussions on bonsai topics. This will be before our regular monthly program. This class only at Ann’s house in Nipomo starting about 1:00 PM. New semester: see note below for fees. Remaining three classes September 13, October, 11, November 8: 9:00 AM until noon, Room 8, Goleta Valley Community Center. Contact Ann Erb or Tom Post if you have a question or to if you want to attend. 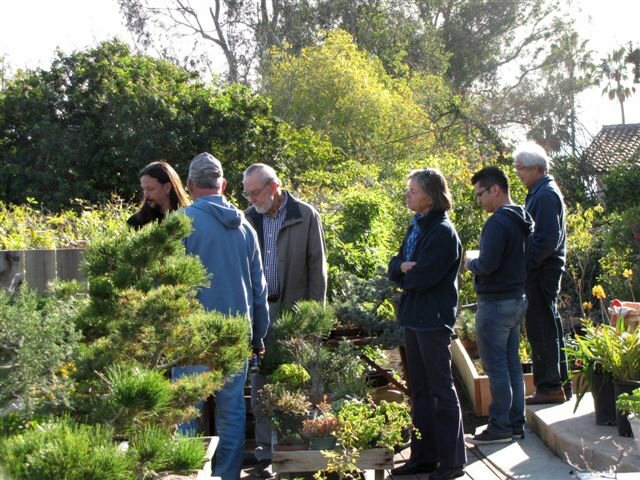 July 19: Bonsai Club Of Santa Barbara: Saturday Workshop With Guest Instructor. 9:00 AM until noon or 1:00 to 4:00 PM., Room 7, Goleta Valley Community Center. Ted Matson, guest instructor. New semester: see note below for fees. See attached schedule for other instructors and dates. Contact Wally Kunimoto if you have a question or to let him know you want to attend. Fee is $108 each semester for all four workshops for either Ann Erb’s workshops or Guest Instructor workshops. Fee if registering after the semester has started (if space is available) is as follows: three remaining workshops $108, two remaining $81, one remaining $54. Ann Erb and John Kopp have offered to host our summer party this year. Map will be included with the newsletter next month. No Tuesday evening meeting in August.